Submit your Cleveland Dutch news and events. King's Day is the biggest national event in Holland. Everything and everyone turns orange and celebrates on King's Day. In Cleveland, the Dutch community just celebrated The 17th Annual State of Ohio Birthday Celebration of the Netherlands' Monarch sponsored by His Majesty King Willem-Alexander of The Netherlands, The Netherlands American Chamber of Commerce - Great Lakes (NACC), and VMI Group. 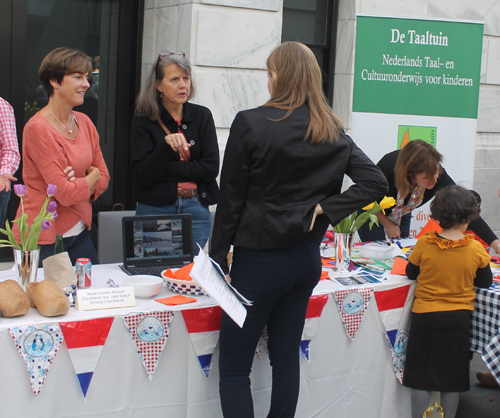 The Dutch Community was represented at the Cleveland Museum of Art's International Cleveland Community Day on October 4, 2015. In Cleveland, the Dutch community just celebrated The 16th Annual State of Ohio Birthday Celebration of the Netherlands' Monarch sponsored by His Majesty King Willem-Alexander of The Netherlands, The Netherlands American Chamber of Commerce - Great Lakes (NACC), and VMI Group. The Dutch community celebrates King�s Day (Koningsdag) for the first time in 2014, after the inauguration of King Willem-Alexander on 30 April 2013 (what was then still Queen�s Day). 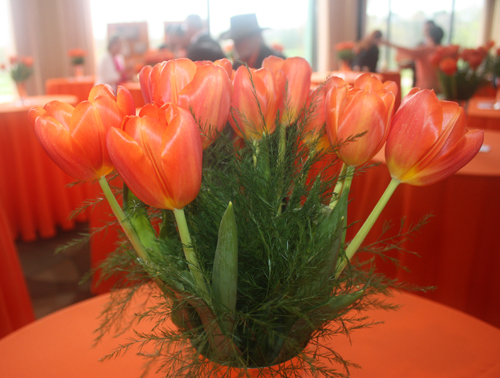 The 15th annual State of Ohio Birthday Celebration of the Netherlands' Monarch will take place May 2nd starting at 6PM at Silver Lake Country Club. Contact Bernardine van Kessel at the Netherlands American Chamber of Commerce at 330-208-5866 or the Netherlands American Chamber of Commerce website. 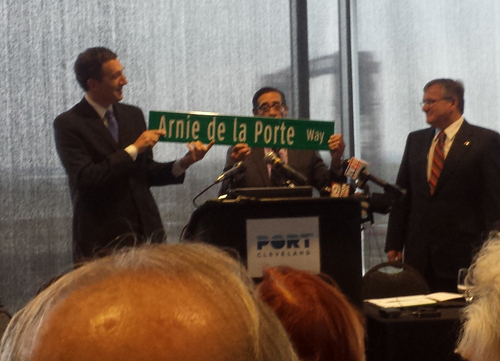 The Port of Cleveland honored the late Arnie de la Porte, Honorary Consul of the Netherlands, on April 22, 2014 by naming a street after the beloved Arnie. 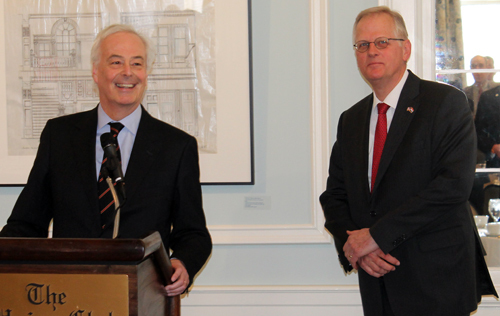 Peter C. Andr� de la Porte has been officially named Honorary Consul, Consulate of the Kingdom of The Netherlands. Peter follows in the footsteps of his father Arnie. 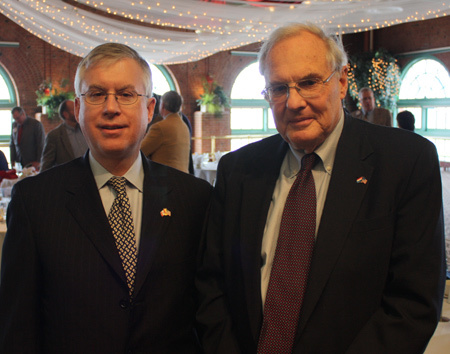 The Ambassador of the Kingdom of the Netherlands to the United States of America Rudolf Bekink visited Cleveland on February 28, 2014 and hosted a lunch reception at the Union Club of Cleveland with the Consul General of the Kingdom of the Netherlands in Chicago Klaas van der Tempel. 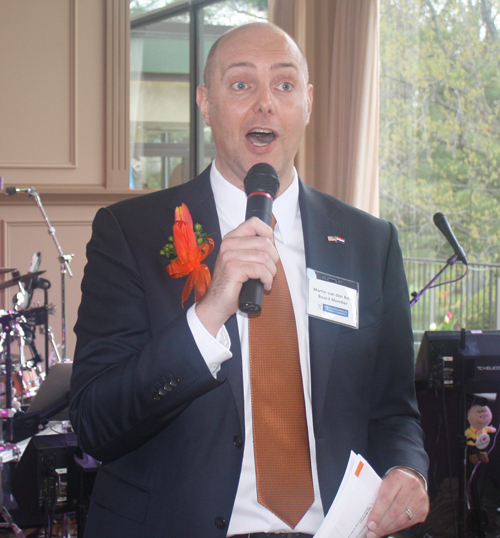 Leaders of the local Dutch community, businesses with Dutch connections and members of the Cleveland Consular Corps were on hand to meet and greet the Ambassador and Consul General. 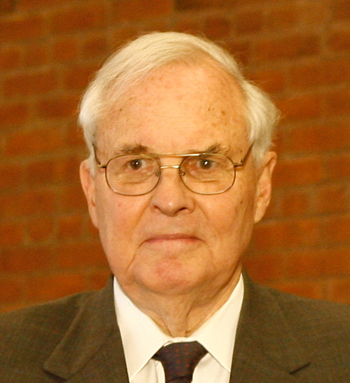 Our condolences to the family and many friends of Arnie de la Porte, Honorary Consul of the Netherlands. 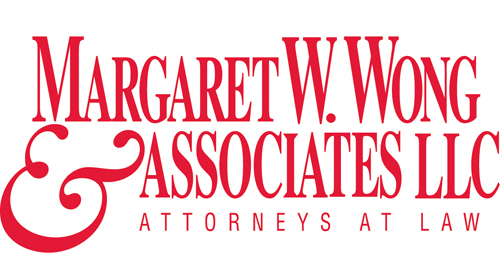 Funeral arrangements are being made and we will provide you with information concerning arrangements as they become available. Arnie will be greatly missed. Submit your Cleveland Dutch photos and event recaps. To promote a better understanding between the Netherlands and the United States of America. To preserve the customs, culture and language of the Netherlands. To contribute to the cosmopolitan characters of the American community. We also hope to be a bridge between both countries for our members and friends to make adapting to life in the United States easier. Submit your Cleveland Dutch organizations and resources. 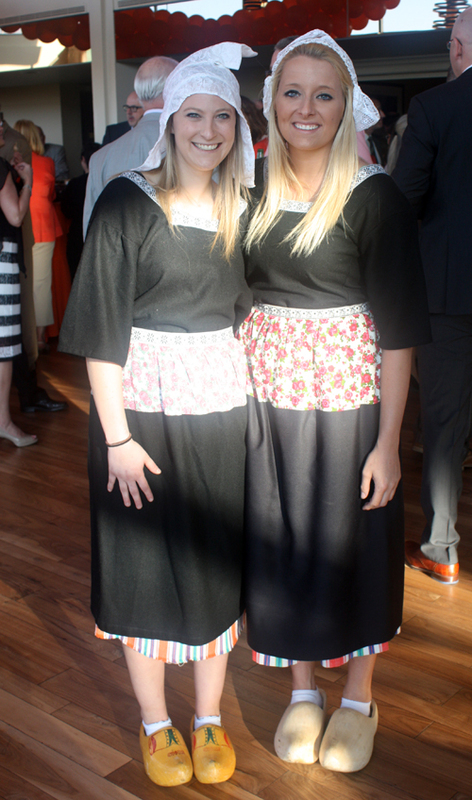 The Dutch School Cleveland provides education in the Dutch Language and Culture. Our goal is to follow as much as possible the curriculum for language education in the Netherlands. This way our students can keep the special emotional and cultural bond with the Netherlands and, if needed, be able to continue their schooling at a Dutch school upon returning to the Netherlands. 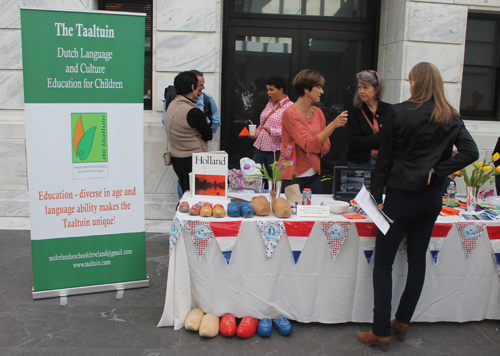 In addition we provide lessons to children that want to learn Dutch as a foreign language. 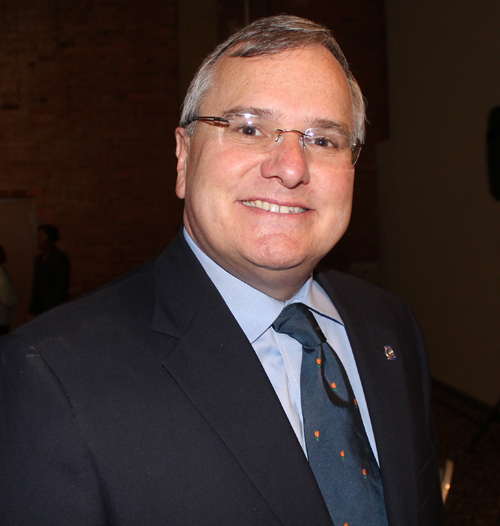 Submit your Cleveland Dutch jobs, classes and other opportunities. Submit your Cleveland Dutch Feedback and Memories. Tell us about the music, food, holidays, traditions, costumes, language and other qualities that make the Dutch so special. The Dutch United Provinces declared their independence from Spain in 1579; during the 17th century, they became a leading seafaring and commercial power, with settlements and colonies around the world. 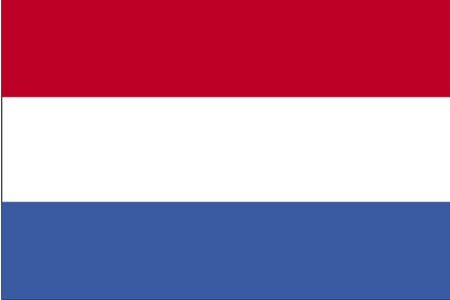 After a 20-year French occupation, a Kingdom of the Netherlands was formed in 1815. In 1830 Belgium seceded and formed a separate kingdom. 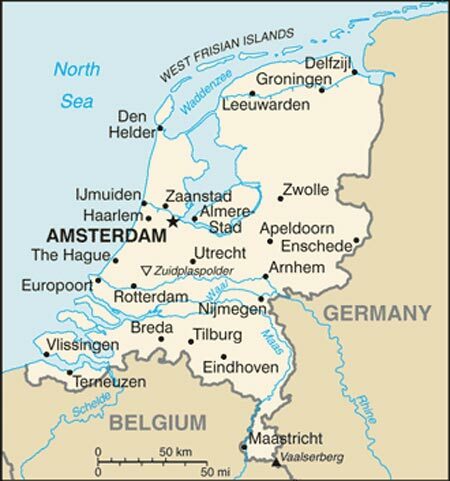 The Netherlands remained neutral in World War I, but suffered invasion and occupation by Germany in World War II. A modern, industrialized nation, the Netherlands is also a large exporter of agricultural products. The country was a founding member of NATO and the EEC (now the EU), and participated in the introduction of the euro in 1999. In October 2010, the former Netherlands Antilles was dissolved and the three smallest islands - Bonaire, Sint Eustatius, and Saba - became special municipalities in the Netherlands administrative structure. The larger islands of Sint Maarten and Curacao joined the Netherlands and Aruba as constituent countries forming the Kingdom of the Netherlands. Submit your Cleveland Dutch cultural items. Read more about the Dutch and other Ambassadors. If you are interested in being considered to be an official ClevelandPeople.com Ambassador to the Cleveland Dutch community, please contact us. If you want to reach the Dutch community in Cleveland and Northeast Ohio, please contact us.